The·Texiansm works with small businesses, professional practices, and other organizations in the Dallas-Fort Worth metroplex area and beyond to develop an internet strategy starting with website designs that bring them business. We are a local small business website designer firm in Cedar Hill, in southwest Dallas County in the "Best Southwest" area (but we can help you anywhere). We offer a complete line of services to build and promote your business website. Does your company need our help with your business web pages? 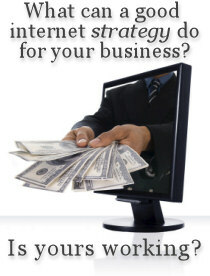 We are your small and medium business resource for affordable web design and internet services. We'll work with you to create your business web site design, develop your site, get it found, and make it a valuable tool for your business. A website's design is only one success factor - you must be found. We'll also register your site with Google, Yahoo, and Bing. We have additional local directory packages available. You can get a cheap website elsewhere for $200 or so. If you do, keep our contact information - because we can fix $200 websites. You can also find one of our competitors to build you a website for tens of thousands of dollars - keep us in mind when you run across one of those, too. We build affordable websites that bring you business. Explore our site, then contact us today to discuss your website requirements.